I am an OFSTED registered childminder. I live with my husband and two beautiful girls aged 9 and 11. Located at a few minutes walk from Woking town centre and within 15 of the train station. My setting is homely, friendly, safe and above all fun for the children, with plenty of opportunity for play, and stimulation for all ages. All my work is based around the Early Years Foundation Stage Framework. I offer both flexible and affordable, quality childcare for children aged 0-8 years of age within my home. I have a current DBS check and hold both public liability insurance and business use on my car insurance. The services I offer vary dependant on the needs of the parent / carer. This can be part time, full time places between the hours of 7:45am and 6pm. I'm happy to do pick ups/drop off at Goldsworth Primary school and Golden Owls Day nursery. It's my fourth year of having registered as a childminder. In this time I've cared for children ranging from 7 months to 8 years of age. From helping some take their first steps to helping others read their first words. In most cases the experiences of my minded children have enriched my experience as their caregiver. Happy to accept childcare vouchers and Tax-Free Childcare. Below are the latest reviews for RainbowB. Please note that reviews represent the subjective opinions of other Childcare.co.uk users and not of Childcare.co.uk. Parents must carry out their own checks and references on childcare providers to ensure that they are completely happy before enaging in the use of their services. My two daughters have been going to Summan for over two years from the ages of 4 (preschool) and 6 . They have loved her from the start, and have always been eager to go. Summan is flexible, utterly reliable, and absolutely trustworthy. She enabled me to go back to work in absolute confidence that the children were well cared for. Summan supports the children with their school reading every day, and the children help each other. There are plenty of constructive games and imaginative play. There is a focus on manners, good behaviour, kindness and supporting each other. The girls love the food that Summan provides and have learned to try new foods. There are plenty of trips to the park. The children call Summan "Khala" (auntie), and that's what she feels like. Summan's children and husband (registered as her assistant) are welcoming and also loved by the children. I thoroughly recommend Summan - we couldn't have found anyone better. My 8 year old has been in after school care with Summan for the last 8 months. I have had an excellent experience with her and found her very professional, organised and flexible. My child is very happy there and I am extremely pleased that the children are encouraged to further learn through reading as well as the opportunity to play and wind down. Oh, and he loves Summans cooking too! my baby girl has been looked after by summan since she was 8 month . now she is 2 year and five month. my little one like to spend time with her . everyday give me surprise . so i knew summan has looked after her really well with learning development . my huasban and i are really happy to find such wonderful child minder. Summan provided wonderful childcare for my daughter. My daughter loves to be with Summan and her family. Summan's effort to provide healthy food and towards child's development is commendable. She puts concious effort to develop child's reading and other behavioral abilities. Overall I am so happy with Summan's service. My darling daughter has thoroughly enjoyed her time with Summan and her family. 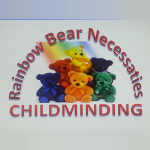 I highly recommend her - particularly for those children transitioning from Nursery to Reception. Summan and family have become an integral part of our extended family over the last year and a half. She has been a God-send. Her home has been the perfect environment to support my daughter as she transitioned from nursery to school. Summan's family ethics and focus on learning and development has been really wonderful. Summan makes time to listen to each child read, provides healthy dinners, ensures the children try new flavours, focuses on manners and treating everyone with respect, and there is not a second of TV! The family environment that Summan welcomed my daughter into has provided a really important foundation for her learning and the development of a growth mindset. I really do mean it when I say "Thank you. From the bottom of my heart."